Candy Canes and the Scientific Method! My kids seem to have accumulated a bounty of those tiny candy canes this holiday season (most of which arrived in pieces and shards). Between holiday parades, preschool activities, and treats from the library, we have more peppermint candy than I ever dare to let them eat… so I decided to put them to use the in name of SCIENCE! These 2 easy preschool activities allow for sensory exploration and discovery while practicing early scientific method skills! Perfect holiday fun at home or in the early learning classroom. Kitchen tools, spoons, cups, sieves, etc. Simple set up for loads of play and learning! Set Up: I put water in the bin (only about 1/2 inch deep to reduce the amount I would inevitably have to clean off the floor later) and added assorted scooping and stirring tools from the kitchen. Hypothesize: Kids love to have an opinion! We wondered what would happen if you put candy canes into water, and made some hypotheses about how the candy canes and the water might change. Collect the Data: We dropped the candy canes into the water and then made observations (this is our DATA – any information we collect during the experiment). It is a great opportunity for kids to practice using their 5 Senses (as long as your bins and hands are clean, they can taste their experiment!). My kids immediately wanted to start playing and exploring using the tools in the bin. (If your kids can stand to wait before they stir, they will observe a pretty neat effect as the red dye separates from the candy canes.) As they played in the bins, we observed the continuing changes to the candy and the water. Change up the Variables: Test what will happen if you drop different shapes of peppermint candies into the water. Perhaps even try other types of candy, such as Starburst, Jolly Ranchers or Gummy Bears… so many tasty hypotheses to test! Festive twist on the old baking soda and vinegar experiment. Set Up The Experiment: Put a hearty amount of baking soda in the bottom of your pan and sprinkle in your candy canes or peppermints. Add red food coloring to a cup of white vinegar (and peppermint oil if you want to mask the vinegar scent and boost the festive-ness). Hypothesize: We guessed whether the vinegar and baking soda reaction would dissolve our candy canes quicker than the water did. Collect The Data: This is again a great opportunity to practice using the 5 Senses to collect data (baking soda and vinegar are also taste-safe, yet not super pleasant!). Kids can observe what happens to the baking soda versus the candy canes when they add the red vinegar (the candy cane will not react with the vinegar, and in fact they do not dissolve as quickly as they do in the water). The act of squirting and fizzing could probably entertain my 4-yr-old son all day if I could provide him with infinite amount of baking soda and vinegar. Critical Thinking: The “Why” behind the baking soda and vinegar reaction is a bit more scientific than the dissolving candy cane. Vinegar and baking soda produce a chemical reaction (meaning that it cannot be reversed back to the original products) that releases carbon dioxide bubbles. However, when done together, these 2 experiments offer a good opportunity for younger children to explore Similarities and Differences. Aspects to compare and contrast could be Time to Dissolve, Color Change, Sound, Texture, and Smell. Ask More Questions: A few examples might be: I wonder what would happen if red water is added instead of red vinegar? or I wonder what other things make fizzy bubbles like those we saw in the experiment? 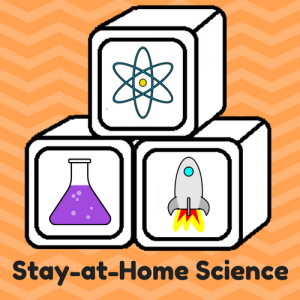 Previous Post PUMPKINS: 5 Easy Science Activities!